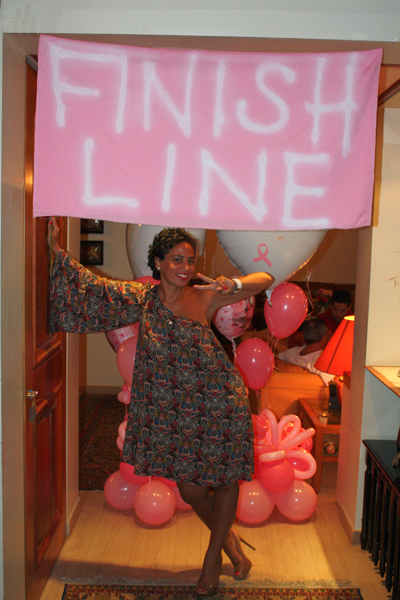 ARE YOU A BREAST CANCER PATIENTS OR SURVIVOR? 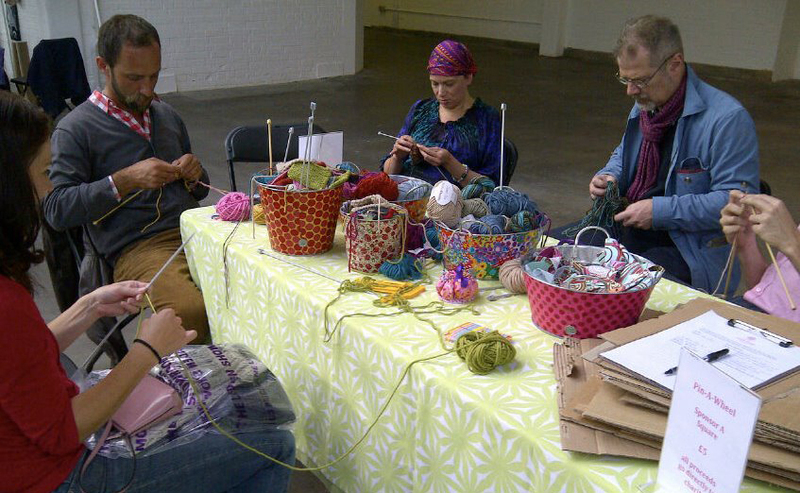 Artichoke Studio and One Wig Stand invite you to take part in a unique art therapy workshop to delve deeper into matters of importance to you and reshape your cancer experience. 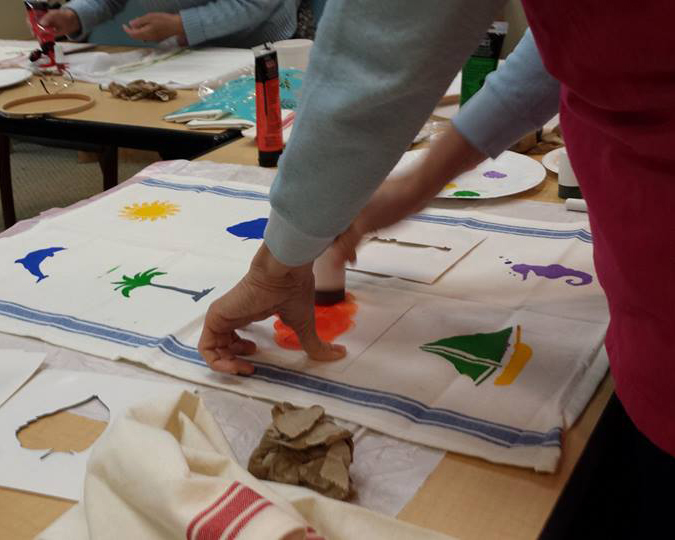 Through art-making and intimate group discussions, the workshop aims to help each participant express her emotions, and gain a deeper understanding and appreciation of herself. In a playful and nonjudgmental environment, important issues will be tackled through different artistic mediums (such as drawings, collage, clay, etc.) over a course of 8 sessions. Relax, play and get distracted from any pain you may feel. Express any emotions that may be difficult to verbalize. Build your self-esteem and strengthen your body image. Cope better with stress, grief, fear, anxiety and depression. Become more self-aware of your emotions and needs. Communicate and interact more effectively with your family and surroundings. Connect with others who are going through or have been through a similar experience and find comfort, freedom and hope through this support network. Sessions will be lead by Myra Saad – M.A. in Art Therapy & Mental Health Counseling. 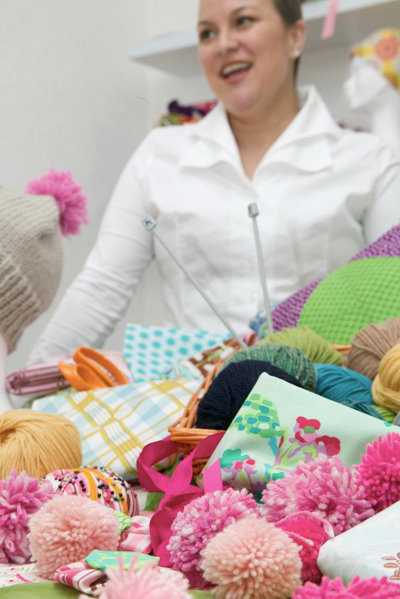 No prior experience in art is required to take part in, or benefit from, art therapy. Confidentiality is highly respected. WORKSHOP DETAILS The workshop will start in March and will take place once per week over 8 weeks. Fill-in the following online registration form: http://goo.gl/forms/gQo2joKLyT OR download it (from here) and send it to us on: blossom.art.therapy@gmail.com Kindly note that places are limited! Katy didn’t have a wig stand during treatment, so she sent us a photo of how she kept her wig in place – on a glass vase. Does the trick doesn’t it? I found a lump in my right breast. It was the size of a golf ball and I could not only feel it, but also see it when I took off my bra. I told my family doctor about it when I went for my yearly physical and she ordered an ultrasound, which showed no reason for concern. A follow-up appointment was booked three months later when another ultrasound was done. At the follow-up appointment, I also had a mammogram and it was the mammogram that showed reason for concern. I had a biopsy 13 days later and 11 days after that I was diagnosed with stage 2 breast cancer. 2. What was your first thought upon hearing the diagnosis? My very first thought was one of disbelief. I didn’t think you could get breast cancer at 26 with no family history of it so to be honest, I wasn’t shocked – I just really didn’t believe it. I guess that was followed by numbness; it took a while to set in that I actually had cancer. Actually, I’m not sure if it ever really set in. It still, to this day, feels like I’m lying when I say “I’ve had cancer.” I also felt embarrassed in the very beginning, even though I had no control over what was growing in my body. I felt embarrassed and didn’t want anyone to know in the first couple of weeks. 3. What was treatment like? Chemo is just a word until you’re the one who’s about to go through it. The night before my first treatment, I was so overwhelmed with the ‘unknowns’ that I was about to face but the nurses made me feel comfortable as soon as I walked into the cancer centre. Everyone reacts differently so I was aware of what MIGHT happen but no one could tell me for sure how I would react. I had 6 chemo treatments and I reacted differently to each one of them. There were days when I was throwing up and other days when I wasn’t. There were days when I needed to have three or four naps throughout the day and there were days when I was awake from morning to night. I just kept thinking, if I feel this bad, imagine how the cancer must be feeling. Treatment is awful but they know it works and if chemo was what was going to kill any cancer left inside of my body then sign me up. 4. Is breast cancer genetic in your family? If not, how were doctors able to explain why you were diagnosed with it at such a young age? Breast cancer is not genetic in my family. My tumour was removed and then tested for three things (the same three things that all breast cancer tissue is tested for); estrogen, progesterone, and Her-2. My tumour ended up being estrogen positive, meaning it was estrogen that was causing my tumour to grow. I am currently on a drug called Tamoxifen which is a form of hormone replacement therapy that I started after chemo ended and I will need to take it for the next five years. The ‘why’ of my diagnosis wasn’t really focused on, my team of doctors seemed to focus on getting rid of the cancer and focus on the necessary treatment. I’ve spoken to other cancer patients who have said the same thing, it doesn’t seem to matter why you have cancer, it just matters that we get rid of it. 5. What helped you recover during and after treatment? There are three things that helped me with treatment. The first thing that I recommend to everyone going through treatment is water. Drink as much water as possible, especially during treatment. You are having poison put through your veins and the best way to cleanse your body is by drinking as much water as possible. The second is sleep. It is amazing how tired you can get from chemo. You need to sleep as much as possible. When you get tired, your body is telling you to sleep and it is your job to listen to it. The last thing, but certainly the most important, was my family and friends. When you have cancer, everyone around you feels so helpless so when they can do something to help (do your laundry, cook some meals, paint your nails, etc.) it not only helps you out but it lets them help in an otherwise helpless situation. So to summarize, drink lots of water, stay rested, and surround yourself with family and friends. 6. Were you able to meet other survivors your age and how important is the role of support during treatment? When I was first diagnosed with breast cancer, I thought I was alone (you just don’t hear about women in their twenties having breast cancer). But, after 3 months, I started writing a blog for facingcancer.ca and found out about two other women only a couple of years older than me who had been diagnosed with breast cancer too. 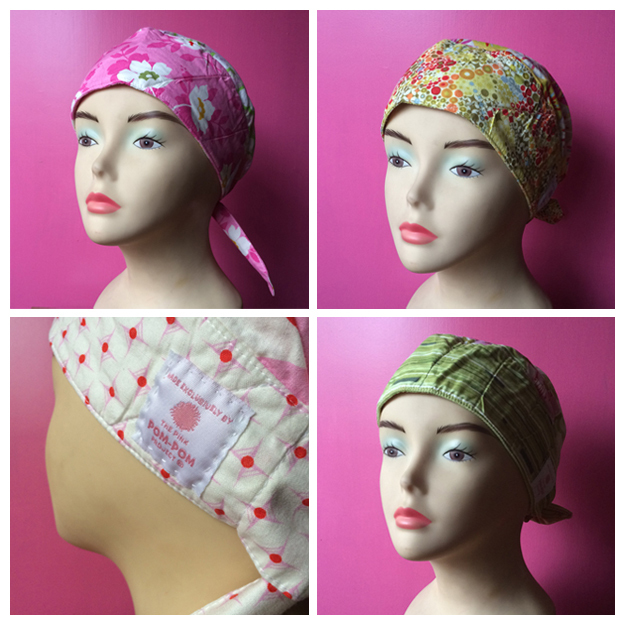 I have since met a handful of women who have had breast cancer in their twenties and thirties. You never hear about it but unfortunately, breast cancer has become a reality for many young women. The term ‘support’ carries a variety of meanings. I never went to a support group but had incredible support from my family and friends. To be honest, I think I would still be hiding under the covers with the lights turned off if it wasn’t for my support system. Chemo can cause your mind to play some pretty mean tricks on you; the psychological part of treatment is overwhelming and I was not prepared for it at all. I was reminded by one family member that it would all be a memory one day soon. I just kept reminding myself of that after every treatment and now it IS just a memory. Support is essential during treatment! 7. Did you wear a wig and why did you choose to do so? I purchased a wig before my hair fell out. I wasn’t sure what I was going to do. I wanted to have it just in case there were days when I wanted to have hair but I never once wore it. I went through chemo in the middle of summer and it was just too hot. And, although I really liked the wig, I was confident enough not to wear one, so why suffer with the heat? I wore my bald head around like a badge of honour. I wanted people to know that just because I have cancer doesn’t mean I am stuck in bed for the duration of treatment. I can go to the grocery store, take public transit, and go out for dinner just like every one else. 8. Would you like to share any experiences with wearing a wig? I had a bright pink wig that I got within a few weeks of being diagnosed. I love the colour pink and it also happens to the colour of the breast cancer ribbon. Anyway, I wore the wig three time. The first time was at a benefit dance that my friends threw for me. By the end of the night, I had taken it off because it was so hot and so many of my friends tried it on throughout the night. It was nice to watch other people wear it because it seemed to bring everyone together that night. The second time was at a wedding. At that point in my treatment, I really stood out because I was completely bald so because I was going to stand out anyway, I might as well try to look good. I wore the pink wig throughout the ceremony, dinner and only took it off near the end of the dance. Lastly, I wore the wig to my final chemo appointment. Because I had worn it on two other joyous nights, why not wear it to my last chemo treatment too? I’m glad I did because all of my pictures from my last treatment day are of me with hair (even if it was bright pink). 9. 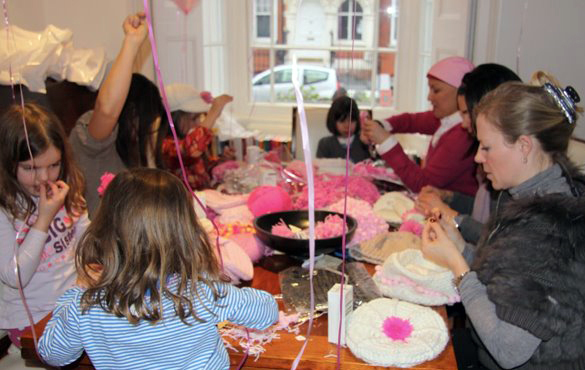 How has breast cancer changed your outlook on life? Well, at the cost of sounding too cliché, I think I have realized that life is so precious and that we are only on the earth for a finite number of years. I try to keep in mind that if today was the day I was supposed to die, that I made yesterday worth living. In other words, I am trying to enjoy the day to day small victories and the simple pleasantries in life. I am also trying not to pass up any opportunity that will make me a better person. I am still planning for the future however I think I’ve started living for the present which is something that I didn’t necessarily do prior my diagnosis. I was so worried about the next week, next month, and next year instead of focusing on right now. Cancer has taught me that there may not be a next week so make this week worth living. 10. Do you have any tips or advice for other breast cancer patients your age about to undergo the same thing? You’re not alone, there are other young women with breast cancer who understand what you are going through. Don’t try to control what you can’t control. Cancer and treatment affect our body image, fertility, our hormones, our hair, etc. and instead of trying to control that, try to control your reaction to it. Surround yourself with good people and they will help you cope with the devastation. You have to learn to excuse other people sometimes because they aren’t aware of what they are saying. If someone says “Oh, it’s just hair, it will grow back” (which I was told many times), they are trying to make you feel better; what I wanted to say was “Oh, so you’re going to cut your hair off with me then?”. Many people have told me about someone close to them who has died from cancer while I was going through treatment as well. Many times people are trying to relate and instead end up offending you. Finally, although it may feel like cancer has become your life right now, remember that you are more than your diagnosis and you are more than cancer. Although your cancer diagnosis stays with you forever, a lot of this will be a memory one day. How did your boyfriend react? How important was his role and what did he do to make you feel better? My boyfriend is a pretty incredible man. From the day of diagnosis, he has been by my side and never once said he didn’t want to do this anymore or threatened to leave me. He was scared for me in the beginning but once we understood what needed to be done, we became a team. Only six days after my diagnosis, I came home and there was a gift bag on the kitchen table. It was a gift from him to me. I opened it and inside was a journal. He wanted me to write everything I couldn’t tell him in this journal and he promised never to read it. He assured me that he was always there for me, but if there was anything I couldn’t tell him, I could now write it down in this journal. I think if it wasn’t for him, I would have given up a long time ago. He was my strength when I was too weak. All through treatment he was doing anything he could or that I asked him to to make me feel more comfortable. He came home early from work when I was sick, he took me to every doctor’s appointment and came to every one of my treatments. I didn’t have a choice in having cancer so I had to deal with it but he had a choice and he chose to stick by my side and be my strongest support through the hardest time of my life. He loved me with two breasts and now loves me with one. I actually think we are now closer than we were before I was diagnosed. Click on the image to visit Katie's blog. We’d like thank Katie for sharing her experience with us. 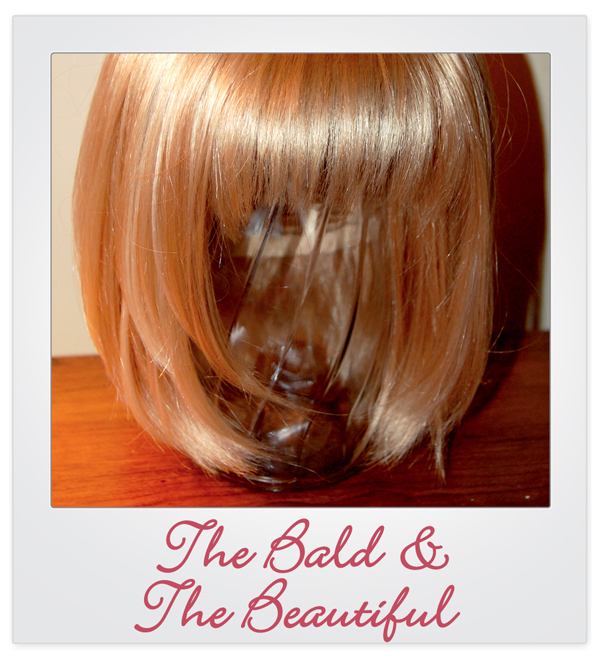 Be sure to check her blog and daily posts on “The Bald and The Beautiful“. 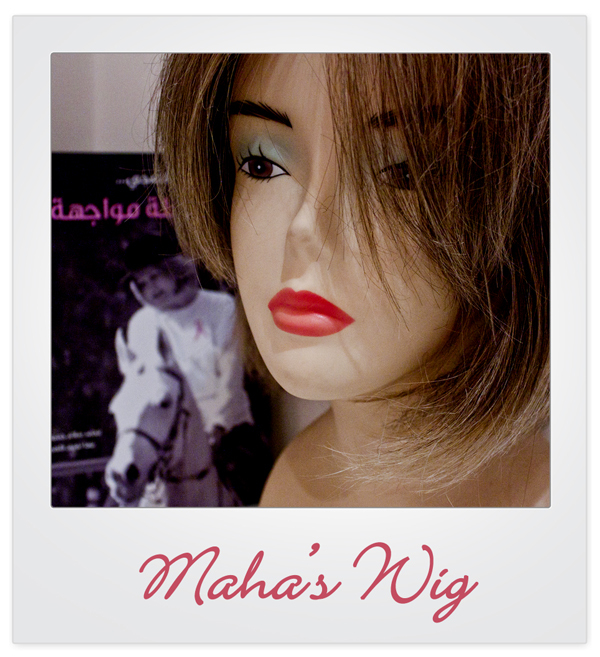 Maha didn’t shed a single tear throughout her Breast Cancer treatment. Besides being a woman with tremendous strength of mind over matter, she was also always surrounded by loved ones and maybe the reality of what she was going through didn’t effect her as much as would be expected. When she finally launched her book “رحلة مواجهة” (“Journey of Confrontations” in English) in early 2011 to a crowd of more than 550 persons, she was so moved by the public’s overwhelming support and for having achieved this goal of getting her story out, that tears this time were inevitable. Maha, who was diagnosed in 1993 with Breast Cancer, knew from the very instant she felt a hummus-sized lump that this was cancer. After all, cancer was no stranger to her family, having inflicted both her parents and other close relatives. She boldly walked into her doctor’s office the next day and declared “Good Morning Doctor. I have cancer.” I don’t know how many women would say that, and even more than that, who’d boldly look at the disease straight in the face this way. Her initiative to get to the point from the start also accompanied her treatment. “I want to live. I want to fight it!” she told me – a determined attitude that has been accompanying her since day one of her journey. One of the things that helped her cope, and which she recommends to all other patients that have the opportunity, is to “take the initiative to speed things up”. Need to take an exam? Done, next. Doctor confirms results? Done, next. Start chemotherapy? Done, next.. and so on. “I was on a mission and was following it up” she said, stressing on the importance of not letting the mind wander either. The worst scenario is death, but I keep telling myself: I’m not going to die of cancer. I’ll probably die of something else..
And she certainly did. At her book launch and signing earlier this year Maha describes “I just felt so proud of myself.. I felt that me and all these patients, we have the same language.” She came to realize that breast cancer patients in the region are hungry to find out more about the disease and need more books like this, written with them in mind. “I made this book for breast cancer patients. I insisted on a writing style that wouldn’t get the patient lost.” Her book, describing a very personal recount of her experience from diagnosis in 1993 until now, is her journey – a journey of confrontation that one can’t help but admire and respect Maha even more for. Her book is distributed free-of-charge to different breast cancer organizations in Jordan with proceeds from sales elsewhere going towards the King Hussein Cancer Foundation. I’m not considered a survivor. I haven’t survived it yet but will keep fighting..
Maha has all our support and best wishes as she continues her confrontation. We hope to have her in Beirut soon to talk more about her book and break the taboo here where it’s also much-needed.